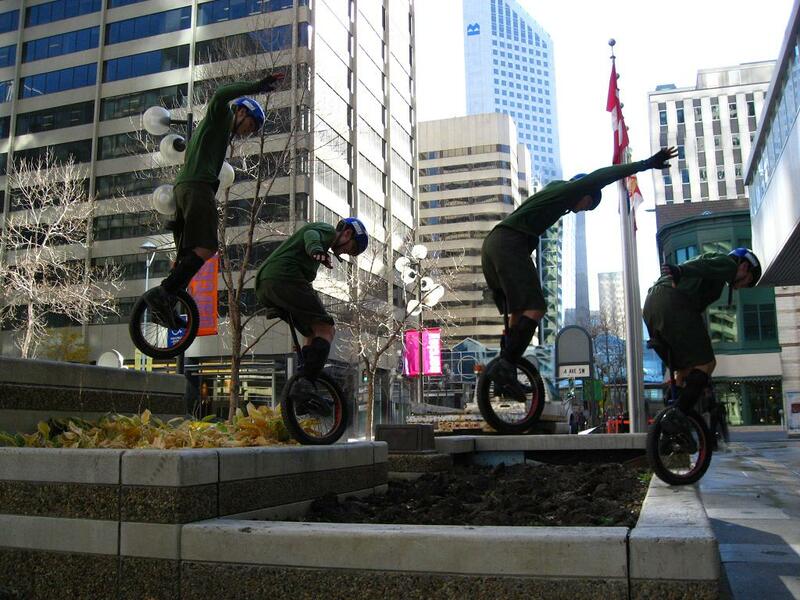 Went out today for some street extreme unicycling downtown Calgary. 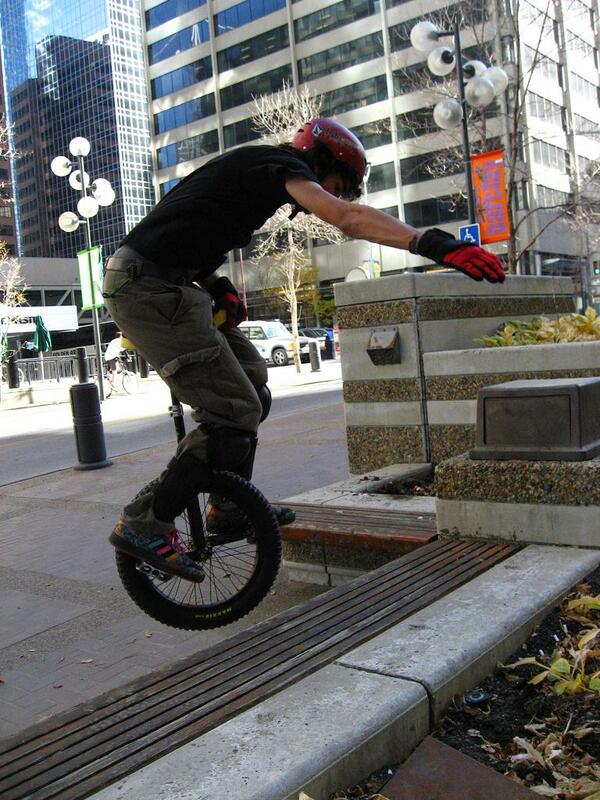 I haven’t been out on the street for over a year, since nearly all my unicycling is done off road mountain unicycling. Anyway, even though its been a LONG time since doing an urban assault, I was still able to hold up to some of the local riders focused entirely on street. I ride a hunter frame 24″ uni which is nice and rigid for trials and street riding, but the 24″ wheel is heavy and much more difficult to maneuver than the smaller 20″ trial unicycles every else rides. One of the riders (Daniel) does some HUGE gaps and hucks off stairs! He’s easily got me beat for the height of his drops and he’s getting some really nice height on jumps straight up to rubber. I nearly always peddle climb up anything that is over 26″ tall. That is where you hop up to the peddle and swing the unicycle up from its peddle the rest of the way on top of the obstacle. Its a great way to climb up any object and helps you get up that extra 12 inches of reach that the pedal has over the bottom of the tire. It was great to get out and especially nice to know I was able to still help some of these guys learning new skills and especially the pedal climbs. Next: Sleep. You spend a 1/3 of your life doing it! What do you know about it?